We have limited availability for parking. Please contact the front desk for alternative options. Make Home2 Suites by Hilton New York Long Island City/Manhattan View NY your second home on the road. 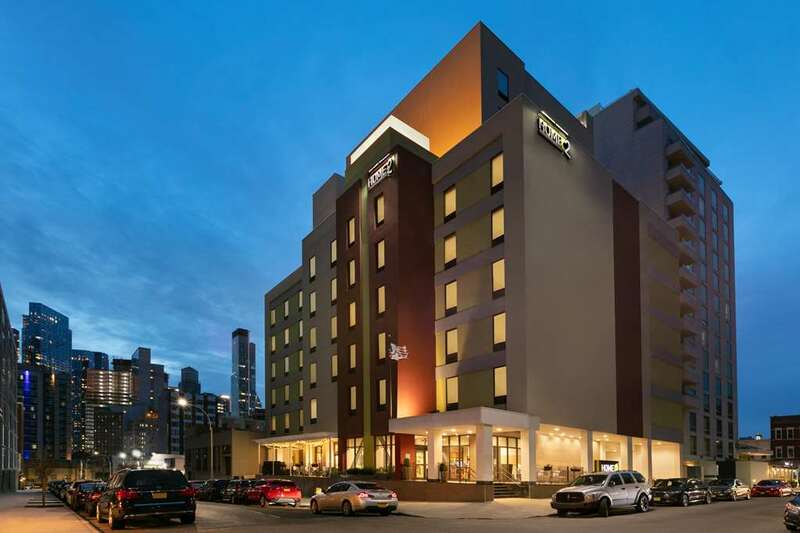 Ideally located within walking distance of lively bars and tempting restaurants and just minutes from New York this all-suite hotel in Queens NY offers a stylish comfortable base in the heart of Long Island. Enjoy convenient access to public transport and three major NY airports JFK International LaGuardia and Long Island Islip MacArthur. Feel free to design your own space in a contemporary eco-friendly studio or one-bedroom suite at this extended-stay Long Island City hotel. The Working Wall - that*s the fully equipped kitchen work area and storage - features movable furniture to let you really make yourself at home. Stay connected with complimentary WiFi and take advantage of complimentary printing through PrinterOn. Relax and watch a movie on the 42-inch flat-screen TV or listen to your own music with the iHome docking station. Don*t leave your dog or cat at home while you travel - your pet is more than welcome at this Home2 hotel in Long Island NY. Join us at our Inspired Table for complimentary breakfast each morning featuring a range of morning favorites including our signature hot breakfast sandwich. Get two things done at once at Spin2Cycle our innovative laundry/fitness facility where you can work out while you wait for a load of laundry. Pick up groceries in the Home2 MKT or have your shopping brought right to your suite with our complimentary delivery service.